Free Mobile Recharge It's Easy To Earn Money Here. Amulyam is the first free mobile recharge. It pays you very soon And it is exclusive site for free so friends HURRY UP....! 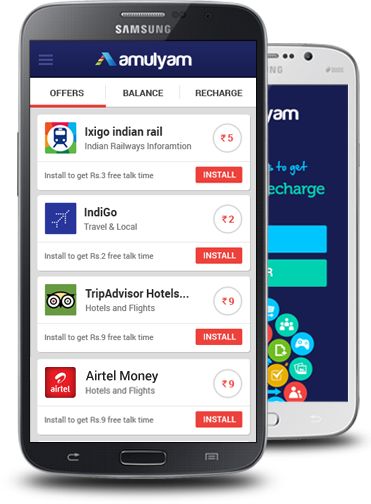 Simple just install apps on your smartphone Amulyam pays it for downloading app from amulyam with that you can collect money from amulyam and it will be credited to your wallet after that you can make money to your wallet. It can pays you RS.50 per day up and download this app. Simple register with you Email and cell number and earn for your cell phone. Enjoy the extra benefits of getting free to your wallet to make money to your cell phone. And you can also refer your friends, for reffering you friends Amulyam will pays you RS.3 when 1 of your friends join this you will b payed by every single referrer, So refer your friends to enjoy additional 3RS. It is very quickly pays you for your mobile phone recharge "HURRY UP" and download this app in your smartphone now to use this service, use more to earn more for your cell phone, follow the simple steps given below to download this app now. 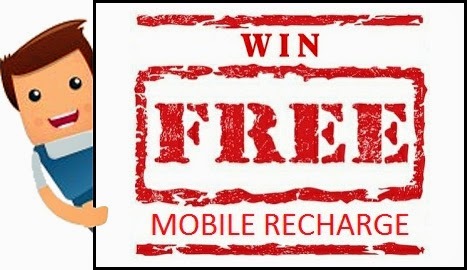 Download Free Mobile Recharge app Download Here. You will be displayed softwares in this app. You have to install that app to get money. See in this picture to follow. 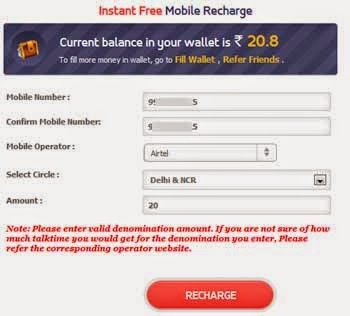 After this you will be credited amount to your wallet from that you can recharge your cell phone. Here in the below picture you can see that the wallet will fill like that after that you can easily fill your money in your cell phone by selecting your network, cell number, mobile operator, select your circle and at last select the valid amount that you have in your wallet, so that it will pay you easily to your cell phone. Here you can make money in your wallet and after that to your cell phone, after filling your wallet to the minimum amount of RS.10 is the minimum amount to be recharged. So hurry up and download this app and enjoy using it friends.